This Accuwave DS wall clock features a satin silver bezel. 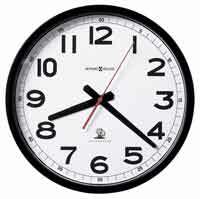 White dial features black Arabic numerals. Finished in Windsor Cherry on select hardwoods and veneers. 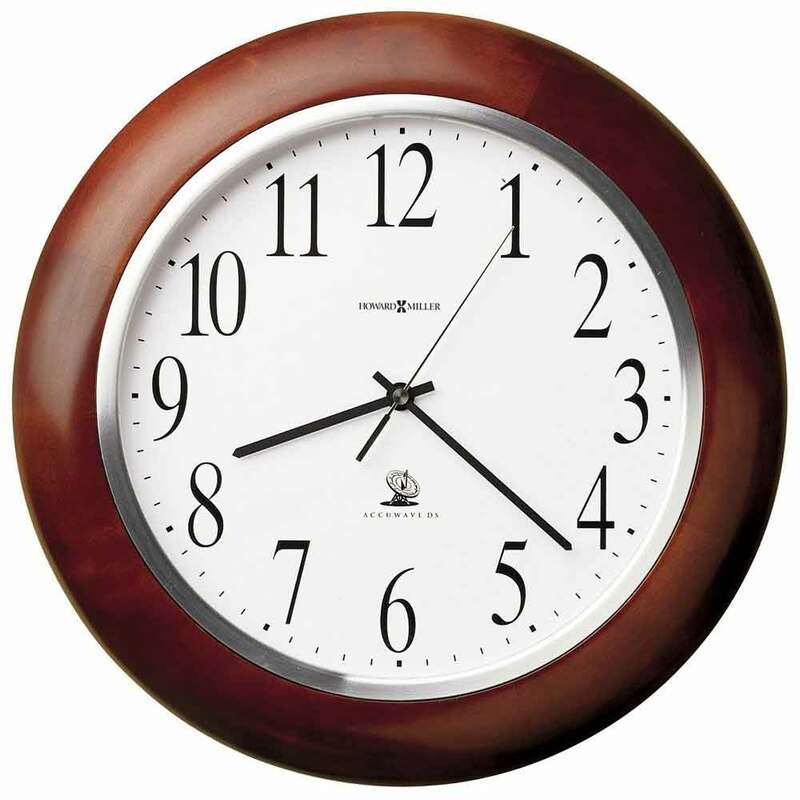 Clock is designed for US Time Zones only including ET, CT, MT and PT. Radio Controlled, quartz, battery operated movement uses one AA battery. Size: Width 13-3/4", Depth. 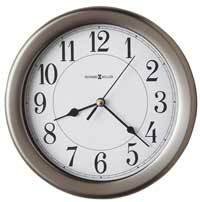 1-3/4"
Clocks for sale at The Clock Depot including the 625-259 at discount prices.